To save, or to pay off debt? That is the question. While the answer should be fairly obvious, a recent survey shows that Americans are struggling with this decision quite frequently, and the results are of an ominous sort. A new Bankrate survey of 1,004 adults finds that only 44 percent of households have more money in emergency savings than the amount they owe in credit card debt. That’s down from 58 percent last year and the lowest amount in Bankrate’s nine years of conducting the survey. Results trend negatively from the other side as well: 29 percent of those surveyed reported having more credit card debt than emergency savings, which is an increase from last year’s 21 percent and the highest in nine years. “The sharp deterioration in the relationship between credit card debt and emergency savings – with an increasing number of households having more credit card debt than emergency savings and a decline in those with more emergency savings than credit card debt – is an ominous indicator of the financial health among American households,” according to Greg McBride, CFA, chief financial analyst at Bankrate. Unfortunately it doesn’t look like the tides will be changing anytime soon either. Of the 43 percent of those surveyed said they were focusing on boosting their emergency savings this year, down from 53 percent last year. Many don’t see building an emergency fund as a priority. Even more worrisome is that another Bankrate survey found that only 40 percent of people could cover an emergency expense of $1,000 or more with savings. What’s leading to the additional cause for concern is that with lingering market uncertainty and forecasters predicting an economic slowdown, this decision can be detrimental to financial health. Being able to have a savings cushion and smaller debt balance could make a big difference when facing the effects of an economic downturn, such as a job layoff. Regardless if you prioritize one over the other, the worse thing you can do is not take any action - the time is now for decreasing debt, and increasing savings. While admittedly most people won’t have three to six months’ expenses waiting to be added to savings, you can start by contributing small amounts now. Then, once the credit card debt is gone for good, apply the savings from payments to build your emergency savings more quickly. 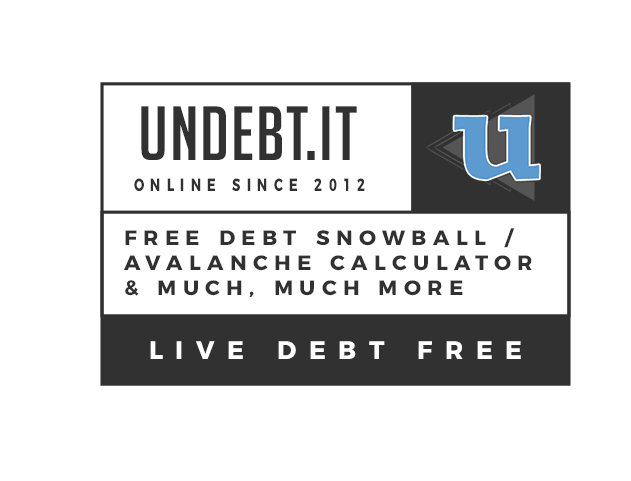 Use debt calculator tools like those provided at Undebt.it to help get you started! If you need help with getting going with budgeting, the software program You Need a Budget currently has a free 34 day trial going. Their methodology is focuses around budgeting dollars you have now, vs what you’ll think you’ll have, giving every dollar a job and more. Pro tip: YNAB also syncs with Undebt.it now for even better tracking of getting out of debt!